Use the Twilio add-on to send an SMS/text message when a form is submitted or when an entry is updated. You may also allow users to text in their votes for a poll or survey created by Formidable Forms. Each received text message will automatically create a new entry in your form. Please note, you must have a Twilio account in order to use the Twilio add-on. 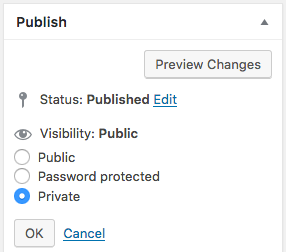 In your WordPress admin, go to 'Formidable' → 'Add-Ons' and click the 'Install' button for the Twilio SMS plugin for WordPress. Now that the plugin is activated, go to 'Formidable' → 'Global Settings' and click the 'Twilio' tab. Insert your Twilio Account SID and Auth Token. You can find this information on your Twilio Account page. If you are using a trial account, you must verify the number you are sending to. You may send an SMS text message as an autoresponder when a Formidable form is submitted or when an entry is updated. Please follow the directions below to set this up. Create a form that will be used to send text messages. Include a Phone Number field in your form if you would like to send the message to the user filling out the form. Go to your form 'Settings' → 'Form Actions' tab. Click the phone icon to add a Twilio action to your form. Give your Twilio action a Label for easy reference. This label will only be seen on the back-end. Insert a phone number or your Phone Number field ID in the To box. You may insert multiple phone numbers, separated by a comma. A separate text will be sent to each phone number. In the From box, insert your Twilio phone number. If your From number is an international number, you must include the international code. If you are using a Twilio test number, you must also send to a test number. Enter the message that you would like to send in the Message box. Click on fields in the Customization panel to add field values from the entry into your message. Create: Send a text when a user fills out the form and submits it. Update: Send a text when a form entry is updated. Delete: Send a text when a form entry is deleted. Different triggers will be visible depending on which add-ons are active. The User Registration add-on adds an option to send a text after a user successfully registers. The PayPal and Stripe forms add-ons add an option to send a text when a payment is completed. If you would like to conditionally send a text message, you will need to add Conditional Logic. You may choose to send a text message only when a user agrees to receive text messages, for example. Please note that Conditional Logic is only available in the Pro version of Formidable Forms. Click Update. Now when a user submits or updates an entry, a text message will be sent to the specified recipient. Please note that you must configure the Global Twilio settings in order for this to work correctly. Use Twilio to allow users to text responses to a poll or survey. The responses will be stored in your form's entries. Create a poll or survey with Formidable Forms. This form can have only one survey question. We recommend including a text field as well, to act as a catch-all for invalid votes. Log into your Twilio account and go the the Phone Numbers page. Find the phone number you'll be using to accept text votes. Click on that phone number so you can 'Configure' it. Replace your-site-url with your own site's URL. Change 5 to the ID of your form. If you would like to send texts to a list of phone numbers that have been entered in a Formidable form, follow the steps below. Create a view that is connected to the form where phone numbers are stored. We'll call this the Numbers View. The View will need to be set up to display 'All Entries'. Replace 'x' with the ID of your phone number field. Click 'Update'. Follow the steps here to create your Twilio action. In the 'To' box, insert the shortcode for the Numbers View. Replace 'x' with the ID of the Numbers View. Publish your Send SMS Form on a page. It is recommend to change the 'Visibility' to 'Private' or 'Password Protected' so only specific users can send texts to the Phone Number list. Now when you fill out the Send SMS Form form and hit submit, it will send out the message to all the phone numbers saved in the Numbers Form. When a phone number is prepared in this plugin, it is forced to be numeric. But if you are using a Twilio alphanumeric phone number, you will need to reverse this automatic formatting. By default, the phone number is stored as the IP address for Twilio submissions. This example copies the value into another field. Are you using a Twilio trial account? If so, did you verify the number you are sending to? 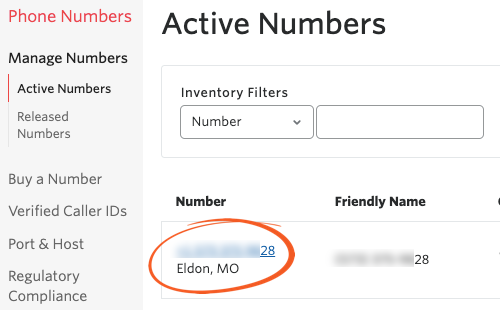 Does the From number in your form settings match the number in your Twilio account? You must send from a Twilio number. If you are outside the USA, you must include an international code on the phone numbers. If these are missing, the USA code is used. SMS messages will not send if you are using test API credentials. The live credentials are required. At this time, sending from an alphanumeric id is not supported. Unfortunately, Twilio does not support this feature in the USA, so our developers are not able to test or support it. Sorry, there was an error saving your vote. This message is shown in two cases. 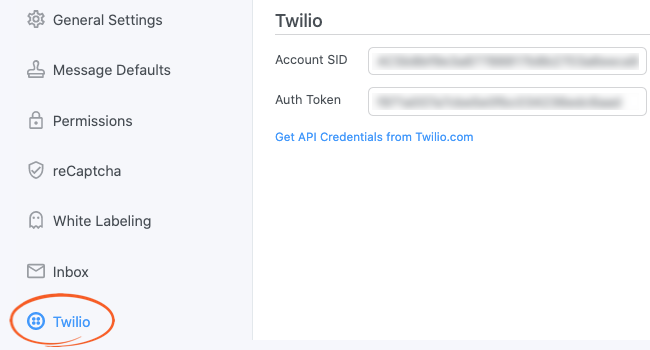 The form ID in your Twilio API URL isn't a valid form id. Your form is set to only allow logged in users to submit. Sorry, you can only vote once. This message is returned when your form is limited to one response per user, and this phone number already has a submission in this form.